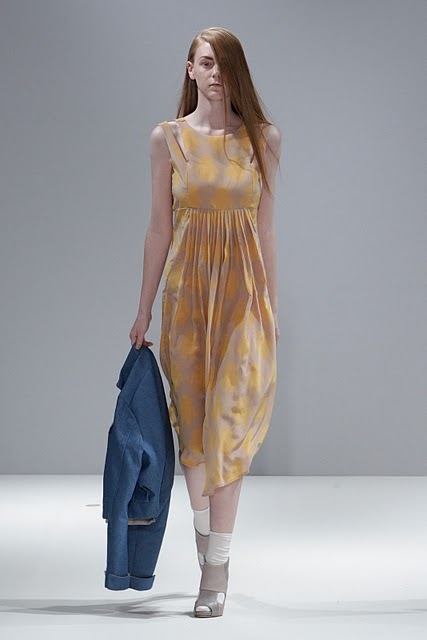 Vauxhall Fashion scout “One’s to Watch” line-up has long been a breeding ground for the newest designers to emerge. As part of this seasons line up two of my favourite new designers took their talents to the stage and showed everyone exactly why their names were on the list. Lilee and Charlotte Taylor are both extremely talented, have an incredible eye for detail and have something unique in the copy-cat world of fashion. The similarities however stop there. Lilees avant garde creations show the romanticism of fashion with intricate tailoring, subtle detailing and whispers of floating chiffon next to Taylor’s fresh approach to bold colours, clean lines and her own personalized prints. This was a show to remember for all the right reasons and they can rest assured that their fan base just grew tenfold.